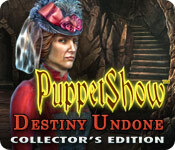 PuppetShow: Destiny Undone Collector's Edition is rated 4.2 out of 5 by 80. Rated 5 out of 5 by Boomer1097 from Excellent Game - Good Job ERS This is an excellent game! This is the fifth installment in the PuppetShow collection and it is the best yet! 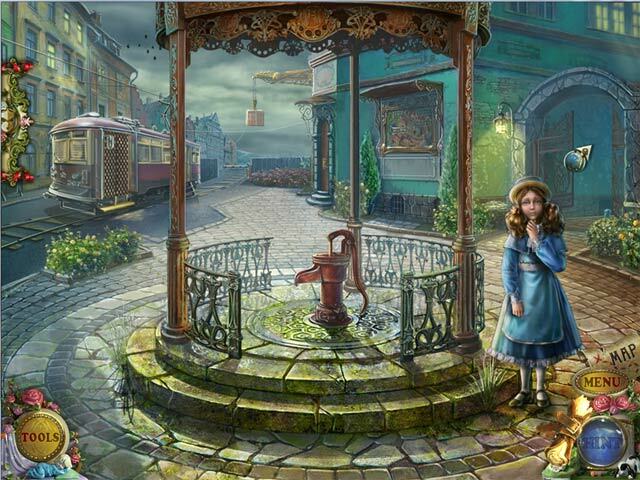 You are a detective and you're back in Joyville trying to find and free the Puppet Master. The graphics are excellent, the cut scenes and voice overs are very well done, the music is fine, the iHOS are fun to play and the mini games are varied and fun to play. You have a journal with information about the story, the characters and notes you pick up along the way. You also have a map that shows the location of "to do" items. The map is not interactive. There is a built in SG which is nice. Shortly after the game begins you acquire a puppet who helps you at various points during the game. You also acquire hat patterns for your puppet as you move through the game. There is a special puppet house where you construct the hats. You can have your puppet wear the hats if you wish. The hat thing was quite entertaining! I switched hats on my puppet several times. There are also dolls to collect during the game. There are not many of them, but definitely look for them. After you complete the game and bonus chapter, be sure to visit the doll collection for a special cut scene. The ending of main game was satisfying and the bonus chapter was very good. The other extras include wallpapers, screen savers, music, concept are, replaying iHOS/mini games/cut scenes. I thought the CE was well worth the price. I highly recommend this game and am looking forward to playing the next game in the series! Rated 5 out of 5 by Ldasim from PuppetShow , just the name I know it's a winner love all the puppetshow games , when I see the tittle I know it will be a fun game to play . Rated 5 out of 5 by KeysPirate from Clever clever clever! I have great admiration for game designers who create innovative and clever stories, puzzles, surprises and "extras" that amuse and entertain. All of the Puppet Show games that I've played so far have these characteristics, and they are among my favorites. DeDe129's review was very thorough, so I'll just add some miscellaneous comments. REALLY GOOD STUFF Mechanical puzzles and puppet shows. Not too hard but you do need to apply some logic and retry a few times. (A lot more than a few retries on the train puzzle but it was fun and very clever.) Amusing things, like the Tres Hombres Cats. I laughed out loud. Surprising stuff, like a new passage opening from an HO scene. Find-and-use HO scenes, mostly big and bright. Yes, there were several misnamed objects, though some were actually rather cleverly named, and a few places where there was a moveable thing that didn't change the cursor. Beautiful graphics (very important to me) that are not overly gaudy and are drawn rather than photographic. I had fun with the hats. Very simple to put them together but better than just having a collection of things that you look at. I let my little helper wear several different ones. Cute! I ran into one glitch near the end on a puzzle with rings. Apparently I started it prematurely (it shouldn't have allowed me to do anything, but it did, and it couldn't be reset so I had to skip it). If anyone is still out there thinking of buying the game, don't hesitate to get it, but try to remember not to start that puzzle before you go to the shack. I was able to replay the puzzle in the Extras, and it worked perfectly. Good puzzle; too bad about the frustrating glitch. Rated 5 out of 5 by jocasta1 from One of my very favourite games! This is a terrific game, the best of the Puppet Show series. 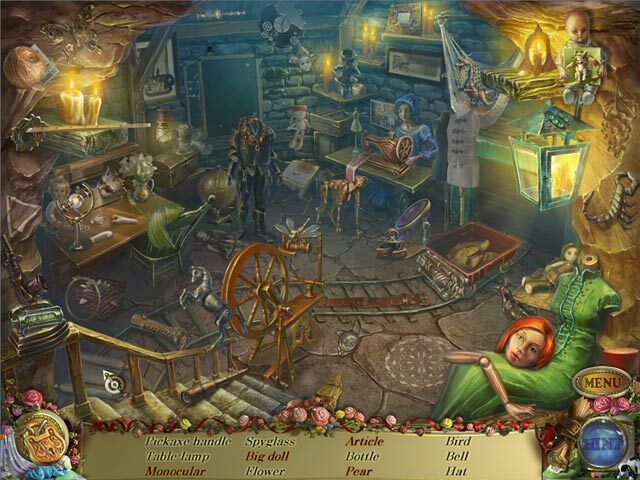 The collectors edition gives you all the puppet dolls to collect, an interesting extra chapter plus extra hidden object scenes and mini games. This series has a look and feel all its own, and has been my favourite series at Big Fish. Weird, fun, and challenging, this is the game (and series) to beat! Rated 5 out of 5 by DeDe129 from Colorful and Fun! Review is based on completing both the main game and the bonus play. This game is really 4.5 stars--it's not without its flaws. But overall it is a great gaming experience so I rounded up. Overall, the game is rather easy. The puzzles are easy in the beginning and middle, but towards the end they turn harder. You have a cute spider-puppet to help you reach things; he has a human head with mechanical legs. I named mine Opie--that will give you a clue to what he looks like. The HOS are of two types: standard list with some interaction and the silhouette style where you find one item and use it to find another. The latter are well-done and imaginative--I thoroughly enjoyed them. The list-style were okay, but often used the wrong word to describe something. This was the only challenge in most of them. At least they were eye candy. You also get hat patterns for "Opie" (see above). These are mini-puzzles that would be challenging if you were 4 years old, but otherwise almost silly. Still, they're kind of fun. I don't know if they're only in the CE. Another bonus is finding 10 dolls or puppets (7 in the main game, 3 in the bonus). One of the things I like most about CEs are searching for extra collectibles, however, these were not hidden. You could not miss these, so that was a bit of a disappointment to me. The bonus game itself was fun, and even though the main game finished nicely (leaving an opening for a sequel), the bonus just further wrapped up the story. I recommend this game, but you could go either CE or standard with this. I'm not sorry I got the CE, but it's borderline whether it's really worth the extra cost. I did use the SG, but mostly only so I wouldn't have to skip the harder puzzles near the end (I was getting a bit impatient by then). Rated 5 out of 5 by PhillieKat from PuppetShow I really enjoyed this particular series edition because it got away from the really intense dark themes of the previous game in the series, which made me regret that purchase. Nothing has come close to the exciting first Puppetshow game but this one comes in second. The storyline in this game still follows the original game. Rated 5 out of 5 by Seji from 5 Stars! 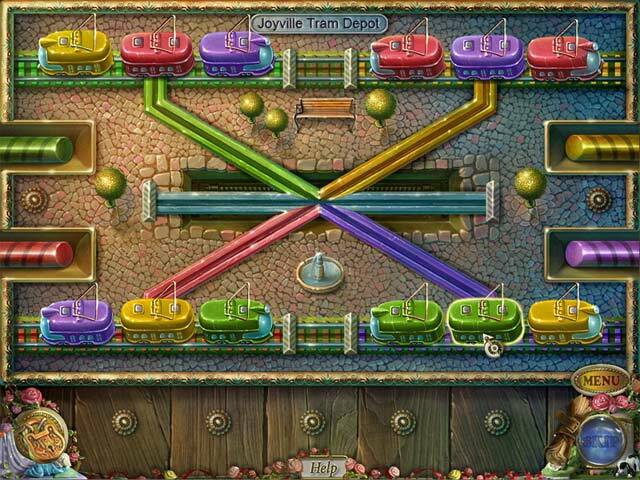 Fun, puzzles, nice graphics and a wonderful storyline sum up this game. You can choose your skill level and then you embark on a journey that is both challenging and fun. The graphics, music and sound are excellent and a feast for the senses. Don't miss this game! Rated 5 out of 5 by abelss from Better than the previous ones This was actually better than the previous Puppetshow games. This game has so much more to offer in the main game as well as the bonus content. The game was not boring. The story was very good. It had a good "moral" to it: things happen for a reason and you cant avoid it no matter how hard you try. There was an interactive map that you could use to jump from one place to another (big plus considering previous ones did not have one). There was a good amount of HOS; not too many but not too few. The HOS were actually pretty easy; the HOS were not cluttered as much as previous games. Puzzles were not very hard, but a pretty good challenge in some. They were actually different that other games and more fun. The dialogue scenes werent too bad. The hint and skip buttons fill pretty quickly. The hint button does direct you where to go which was another plus for those who dont like using a map. I really liked the characters, especially the little red head boy spider puppet who helps you get objects you cant reach. There are hats you can collect (you collect the blueprints and then follow instructions to make them). After you make the hat you have the option of your spider puppet wearing whichever one you choose; I believe there was 12 in main game and 4 in bonus game, cant remember. The graphics it self (scenes, bulidings, etc), could have been a little better, but they were good. There was actually a lot of bonus content besides the bonus play. There was music that you can save to computer, minigames, wallpapers, screensavers, calenders made for this game and others in the series, etc. The main game on casual took me approx 4.5-5 hours. The bonus play was about 1.5-2 hours for me. Very good length. Very good game. Definately worth the money.